Another Whit Friday and another successful night for the Yorkshire 2nd section champions. The weather was kind once again for all the bands. The crowds were as big as ever for this spectacular annual event, with bands coming from all over the world to participate. The evening began at the band room at 4pm. The coach headed directly to Greenfield with the usual pick up of the vital pies….. oh and the solo baritone player. One last stop on the moors in a layby giving us a chance to blow the cobwebs off (and blown over) before heading for the first contest of the evening. With the usual delays due to the amount of bands entering we had a 45 minute wait at Greenfield. Good Performance from the band then onto No.2 Uppermill once again another wait but still its all part of the night. followed by Diggle, Scouthead and finally finishing as the last band at Lydgate…….. Time for refreshments. 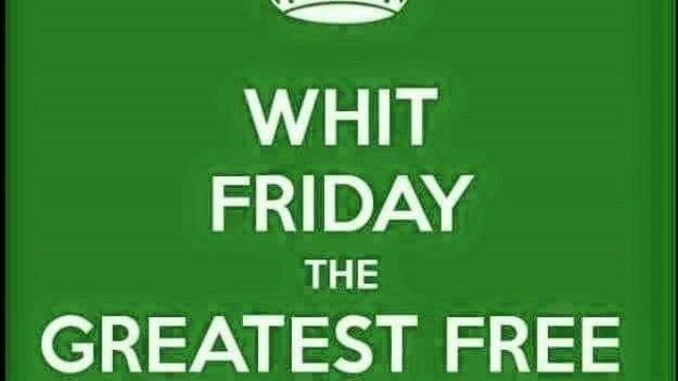 Roll on Whit Friday 2018…. Friday 25th May.